Gain insight into the design and function of the knees to learn how these vital joints affect other ligaments and muscles within the body. 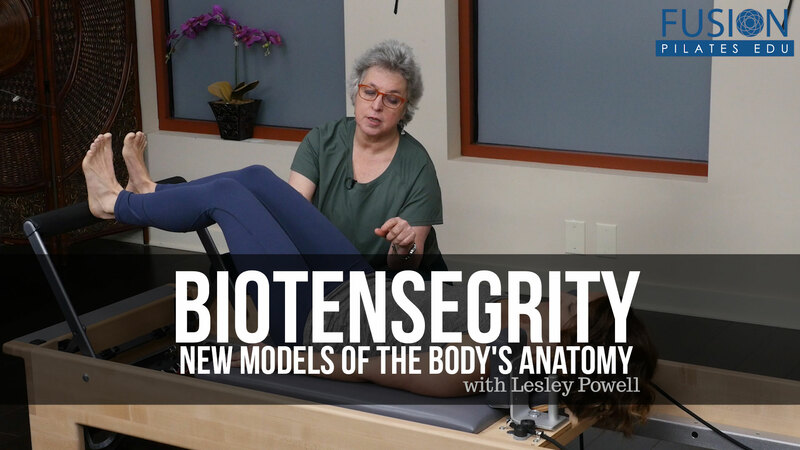 Join Lesley Powell for this online Pilates workshop on Biotensgrity. Lesley Powell brings in her studies with her anatomy teacher, Irene Dowd with her Pilates practice. This workshop offers a step-by-step understanding of the pelvis, which can affect the entire body through its organization and stability. Learn how to find a scapular-humeral rhythm to invite the correct, improved phrasing of the arm and core muscles in clients. 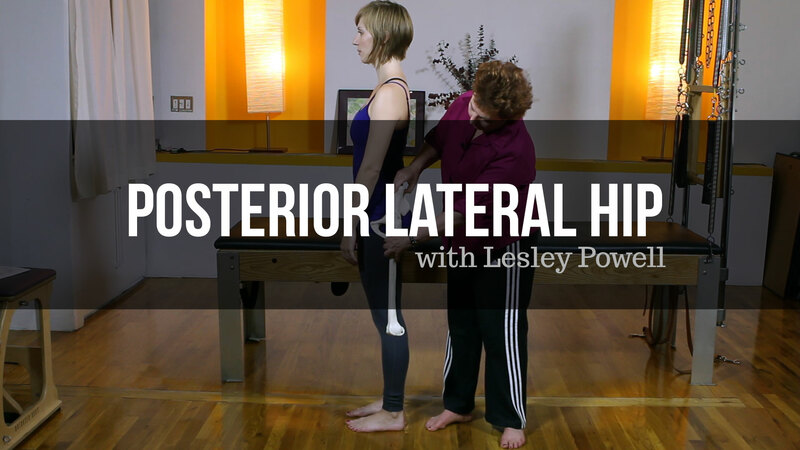 Good function of posterior lateral hip muscles can affect stance, alignment, and ease of motion. This workshop explores anatomy and how to train correctly. I found this very helpful for alignment and to challenge my cuing I really enjoyed this and find it extremely invaluable! This gave me an entirely new concept of the pelvis. I enjoyed Lesley's slow methodical explanations. She made a point to talk in precise terms which went along with her visual and tactile cues. 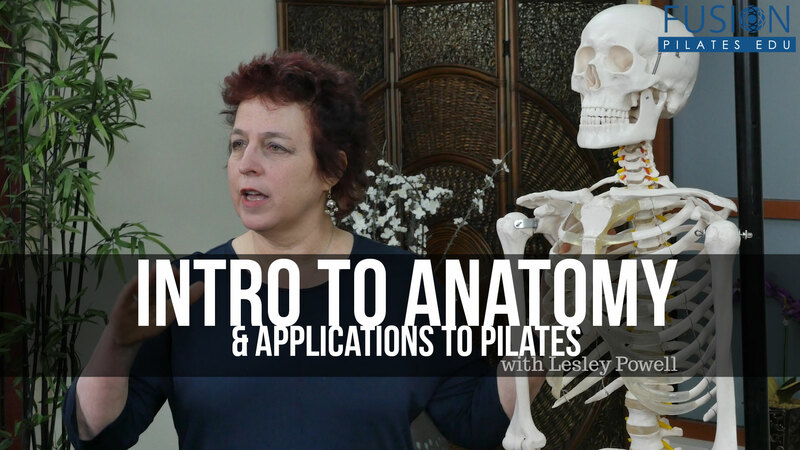 The pelvis is a complex part of our anatomy and Lesley helped de-mystify it. I was hoping for a little light to be shed on the pelvic floor muscles as well, but I'm guessing that's an entirely separate workshop! Lesley's workshop was really informative and given at a very understandable level. 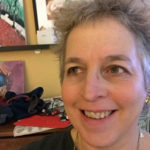 I was skeptical about an online study but this was presented clearly and organized in a matter that was logical and applicable to clients and my own personal practice. I always enjoy Lesley. She is so great. Wish I could be in New York to work with her personally. I enjoyed the quality of the information and especially the use of visual aids and the tactile cues for the client. I especially liked the tape on the front of the pelvis and the use of the sacrum model to show both proper movement patterns and improper movement patterns. The imagery has helped me with verbal cues for my clients to more correctly engage their abdominals.